Trapped for life on a remote island; then you might want more substantial amusements. 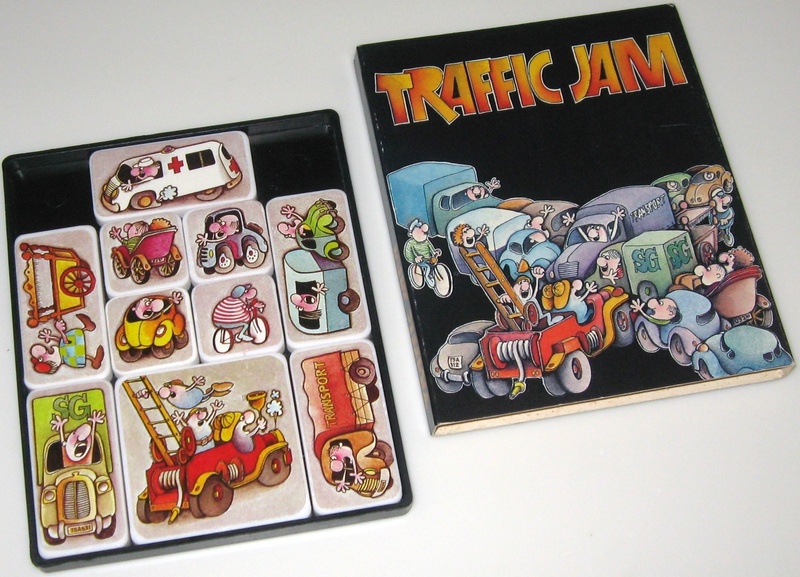 Great graphics with solid precisely sized plastic pieces that are fun to use. When you are tired, just slide on the box lid (no bag of unassembled stuff to worry about). 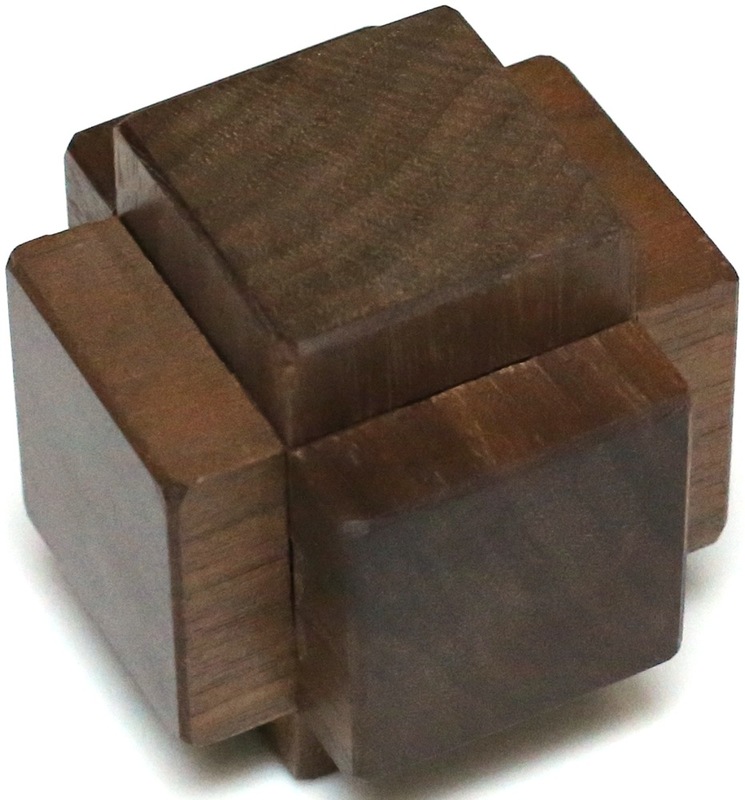 The pieces can also be used for a host of other puzzles (Red Donkey, Century, Ushi, etc.). 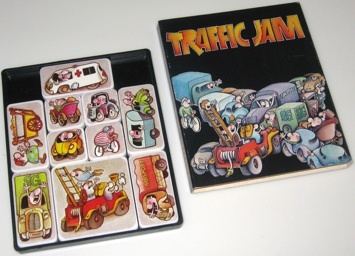 Although it is hard to duplicate the factory made plastic pieces, it is easy to make this puzzle from wood. 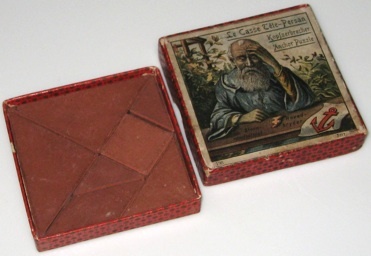 Easier than Rubik's Cube but still quite a challenge. Other fun choices are Rubik 2x2x2 (a bit harder), Rubik 2x2x3 or Rhombi Diamond (easier), Dino Cube (even easier), or Pyraminx Duo (probably too easy). 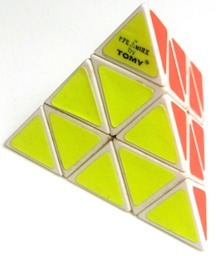 Versions of this puzzle are commonly available for purchase. A triumph of computer assisted design by one of the great puzzle designers. Quite hard for just three pieces. Yes, when you are tired you are stuck with loose pieces, but there are only three! Try also the Cubie Burr. Burrs like these can be home made by one handy at wood working. 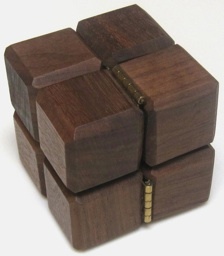 The simple but impossible look to this puzzle makes it fun. It is straightforward once you see how; however, after putting it away for a few months, it can be like starting all over. 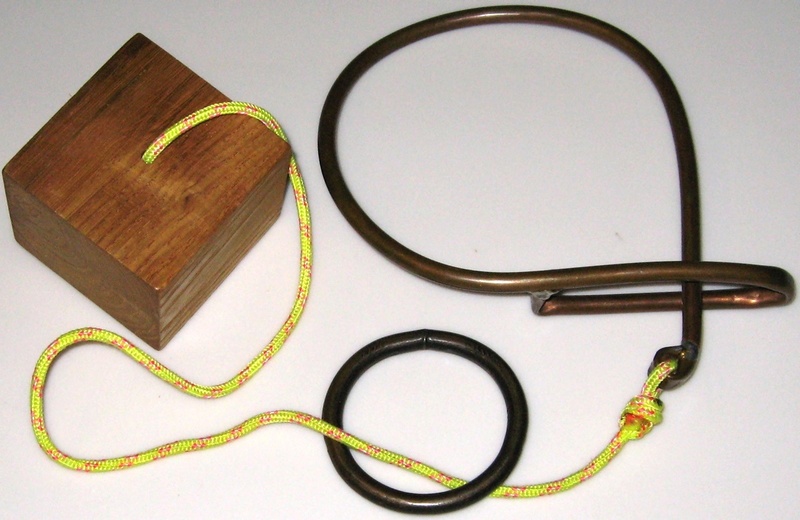 It is easy to make (e.g., use a fun object for the block and make the loop an unusual shape). Try also the Moving Rings or WitsEnd. One of the first puzzles people tend to pick when they are confronted with a bunch of my puzzles. Not too difficult, and there is something very nice about the feel of the hinges. So if some of these other puzzles are too difficult, try this one. Not too hard to make one.